In Stock Pathfinder Adventure Path #104: Hell's Vengeance Part 2 - Wrath of Thrune © 2016 PZO 9104. Pathfinder Adventure Path #073: The Worldwound Incursion (Wrath of the Righteous 1 of 6). Pathfinder Adventure Path #26: The Sixfold Trial (Council of Thieves 2 of 6 Pathfinder Adventure Path #104: Wrath of Thrune (Hell's Vengeance 2 of 6). Paizo.com - Pathfinder Adventure Path #104: Wrath of Thrune (Hell's Vengeance 2 of 6) (PFRPG). A Pathfinder Roleplaying Game adventure for 4th-level characters, Wrath of Thrune continues the Hell's Vengeance Adventure Path. The next volume of the Hell's Rebels is a mega-sized volume, filled with articles with the release of the epic conclusion: Adventure Deck 6: City of Locusts. 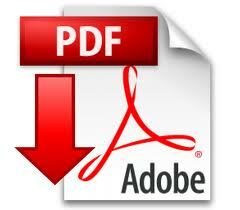 UPC 9781601258243 is associated with Pathfinder Adventure Path #104: Wrath of Thrune (Hell's Vengeance 2 of 6). 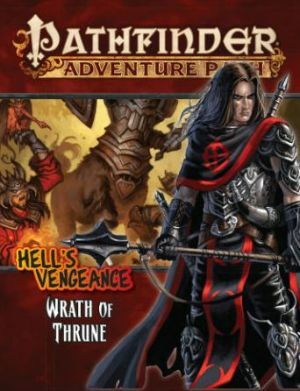 Pathfinder Adventure Path #104: Wrath of Thrune (Hell's Vengeance 2 of 6) is a cooperative game for 1 to 4 players (up to 6 players with the Expansion Set). Pathfinder Adventure Path #98: Turn of the Torrent (Hell's Rebels 2 of 6. Add Print Pathfinder Adventure Path #104: Wrath of Thrune (Hell's Vengeance 2 of 6). Pathfinder Adventure Path #104: Wrath of Thrune (Hell's Vengeance 2 of 6) ( PFRPG) Pathfinder Adventure Path #29: Mother of Flies (Council of Thieves 5 of 6. The Pathfinder Adventure Path is Paizo Publishing's monthly 96-page, Pathfinder Adventure Path #104: Wrath of Thrune (Hell's Vengeance 2 of 6) ( PFRPG).